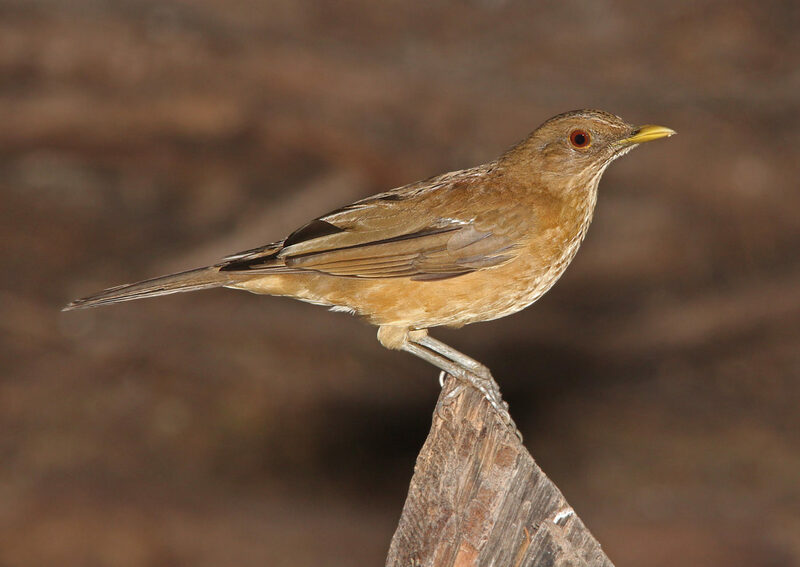 The Clay-colored thrush is not a brightly colored bird. That isn’t to say it’s unattractive, just subtle; a closer look reveals varying shades of brown, brownish or maroon eyes and faint white streaks on its throat. While visually unobtrusive, the thrush’s song reverberates throughout woodlands — a melodic series of whistles symbolic of dawn and dusk. Its pleasing song is fairly new to the lower Rio Grande Valley, heard increasingly often over the past 30 years. Their population increasing, the thrush seems here to stay — but what are they doing and where else might they go? Those are the questions being asked by Timothy Brush, a biology professor at the University of Texas Rio Grande Valley. Bird communities change over time, Brush went on to explain, affected by the local environment and wildlife community. One conspicuous change in the Valley is urbanization, and both biologists and birdwatchers have noticed the thrush can be found in neighborhoods or parks with lots of trees (especially native ones). Quinta Mazatlán, a historic adobe home with lush gardens and native woodlands, is a prime example of clay-colored thrush habitat in the heart of McAllen. After opening in 2006, it became a well-known site for visiting birdwatchers to see the thrush. “We began to notice lots of Clay-colored thrushes there and were able to band many,” Brush said. It turned out there are especially large numbers in late summer and fall, when flocks of juvenile thrushes descend on the park to forage on fruits and berries. In the winter, however, their numbers decline — thrushes moving about, destination unknown. “That’s why we started our color-banding project,” said Brush’s wife, Catherine. As a trained sub-permittee of local master bander Mark Conway, she is permitted by the U.S. Geological Survey (USGS) to catch, band and release the wild birds. 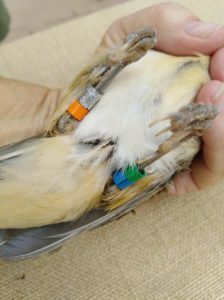 The aluminum band has a unique number — mandated by the USGS — that allows individual birds to be identified if they are recaptured. The banding process doesn’t harm the birds; quick measurements are taken and the bird is released. The plastic bands come in six colors — blue, red, green, yellow, orange and black. These colors make it easier for the Brushs and other observers to track individual birds. Each thrush that is caught gets a unique color combination. “The first thrush we banded got blue and red bands on its left leg; blue on top and red on bottom. Its right leg got the aluminum band and green band,” Catherine said. Now, the Brushs are looking for sightings of their banded birds. 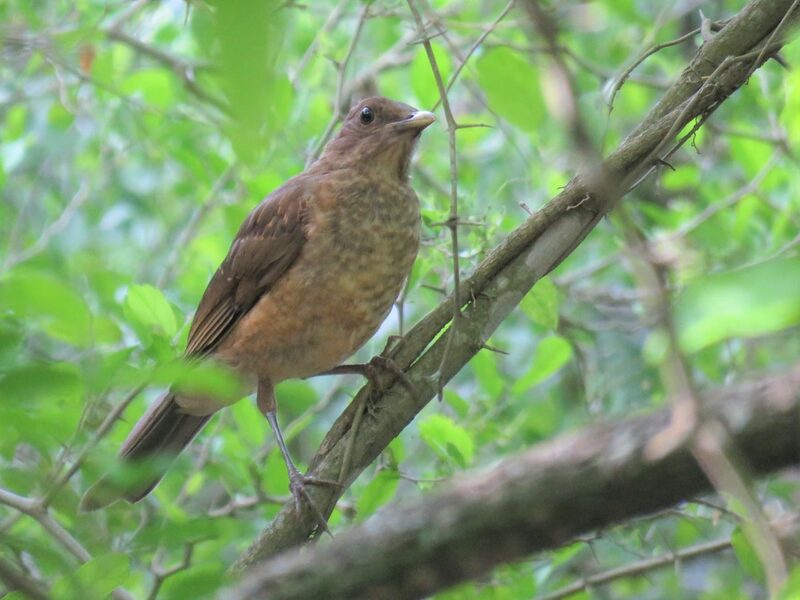 Biology students from the University of Texas Rio Grande Valley have only seen two of the 76 thrushes banded so far. The Brushes hope that anyone who sees a color-banded thrush will share their sightings by emailing colorbandingRGV@gmail.com. “By reporting where, when, and what color combinations are on their legs, we can start to figure out where the thrushes are going,” Brush said. The Center for Urban Ecology at Quinta Mazatlan works to create healthy cities for people and wildlife. Come see for yourself on weekly Saturday birdwalks at 8:30 a.m., or visit www.quintamazatlan.com.